A local guide to Indian Trail NC real estate, events, news, neighborhoods, schools and more. Search Indian Trail NC homes for sale. For local and knowledgeable service in Indian Trail NC real estate, call Carol Fox of Allen Tate Realtors directly at 704-905-3935. 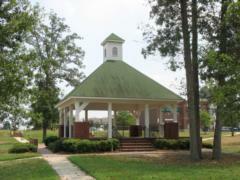 With a population over 33,000, Indian Trail grew to become Union County's largest town from 2000 to 2010. It has been named a Tree City USA and is often found on "Best of" lists. In 2014, it was first on Movoto's list of the ten most affordable towns in North Carolina. NerdWallet placed it five on its list of best North Carolina cities for young families. The town is actively promoting a plan to provide more recreational facilities for residents. In recent years, two parks have been developed with gathering spots and sport faciliities. A new Community Arts Center provides space for cultural activities and arts classes. 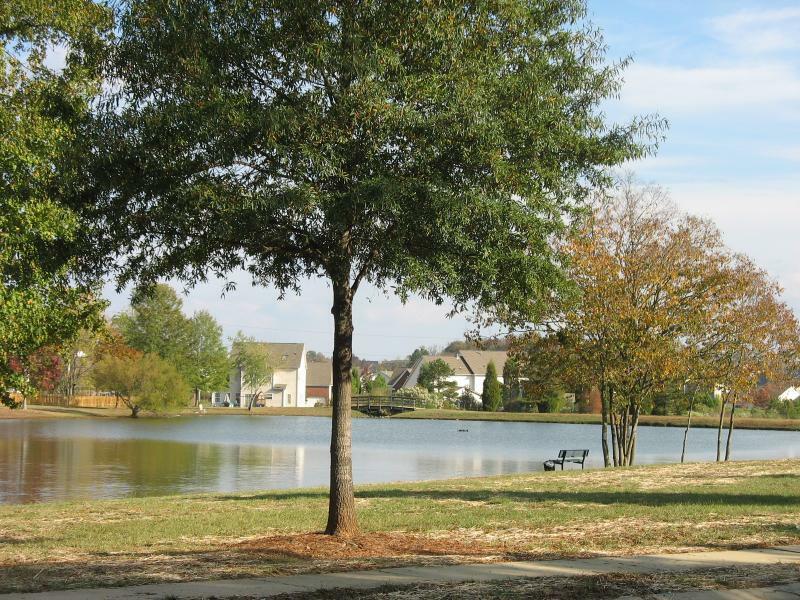 The busy Highway 74 corridor provides the location for many of the community amenities in the Indian Trail area. Shopping opportunities increase daily with the addition of new retail centers. A new SuperWalmart is located here and a new Lowes Home Improvement Center is under construction. Many restaurants have opened in recent years giving residents a wide variety of dining options. Most of this area is served by the Indian Trail Post Office, a new facility in one of the Hwy 74 centers. 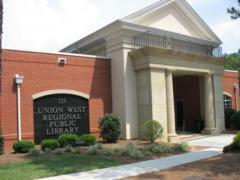 The Union West Regional Public Library is located in downtown Indian Trail. Golfers have a choice of several courses in this area. The Extreme Ice Center, a brand new facility, has two National Hockey League regulation size rinks and is the practice facility for the Charlotte Checkers hockey team. The Ice Center offers public skating and hockey leagues as well as a Fitness Center and Dance classes. This part of Union County is a great place to find a variety of neighborhood types and housing prices in both new construction and in older homes. The Indian Trail area's relatively affordable lifestyle is easily accessible to Charlotte's workplaces and amenities. Indian Trail, one of the oldest towns in Union County, celebrated its centennial in 2007. The original town limits were a circle a half-mile in radius from a point in the center of the railroad tracks that cross through the town. Aggressive annexation by the town in the 1990s has obscured the circular town boundaries. Indian Trail was named for the seventeenth century trading route that ran from Petersburg, Virginia through the area to the Waxhaw Indian settlement. Primarily the province of the Waxhaw Indians before white settlement, the area was settled by Highland Scots from South Carolina and German immigrants from the Catawba Valley. 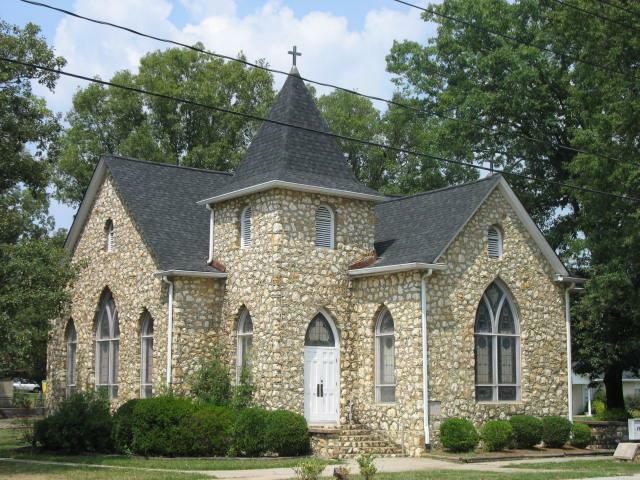 The Indian Trail Presbyterian Church, shown above, is a local landmark. This church was built in 1916. 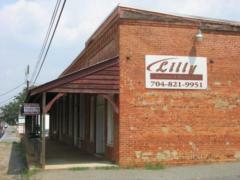 Downtown Indian Trail has a commercial block built in 1912 that still stands. Over the years, it was used for a general store, a post office, and a movie theater. It is now used as an auction house. The 2010 census figures show that Indian Trail is now Union County's largest town. Residential development in Indian Trail could push its population to over 80,000 people over the next thirty years. The town government has studied how to plan for this growth. It has been recommended that the town create residential neighborhoods of 3000-4000 residents connected by village centers that would include schools, stores and places for civic activities. One of the first neighborhood centers, Austin Village, is under construction. This 100-acre center of commercial and retail development will serve the northwestern part of the town. The town is also working on plans to develop the historic downtown section of Indian Trail. Indian Trail has a variety of neighborhoods, large and small. Brandon Oaks is one of the largest with over a 1000 homes and two pool facilities. Prices in this neighborhood range from the $150,000s to over $300,000. Lot sizes in Brandon Oaks and other similar Indian Trail neighborhoods range from a quarter to a third of an acre. It is possible to find an Indian Trail home on a larger lot as well. 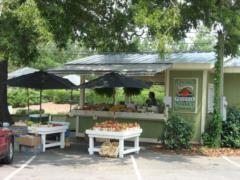 Red Barn Trail and Fairforest are examples of neighborhoods on acre-plus lots. Relative affordability and accessibility are the hallmarks of the neighborhoods in Indian Trail. Commercial development of the main arterial roadways plus the neighborhood centers provides nearby shopping for most residents. Close proximity to I-485 along the southern border of Mecklenburg County allows convenient access to Charlotte and Charlotte-Douglas Airport. Search for homes in Indian Trail NC by clicking the links below. Ask me a question about Indian Trail NC. 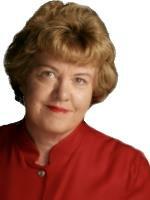 I'll be happy to answer your questions about neighborhoods, homes for sale and living in Indian Trail NC. Drop me a note via the email form below or give me a call at 704-905-3935.